Insightful legal advice on Pakistani and British Company and Tax matters! Before a company incorporated abroad can open branch in Pakistan it is necessary for permission of Board of Investment to be obtained. Further, issue of shares to nonresidents requires permission of SEC State Bank of Pakistan. Protection of minority shareholders is normally achieved by suitable provisions in Articles which under Companies Ordinance, 1984 can only be altered by special resolution requiring 3⁄4 majority. Special resolution is also required for reduction of issued share capital along with confirmation of reduction by court. Every company incorporated outside Pakistan must, within one month of establishing a place of business in Pakistan, file with Registrar a certified copy of its charter or memorandum, address of its principal or registered office, list of its directors, chief executive and secretaries, name and address of principal officer of company in Pakistan, names and addresses of one or more persons authorized to accept service of process and notices on behalf of company, and address of its principal place of business in Pakistan. Any change in any of matters aforesaid must be reported to Registrar, and company must file with Registrar each year its annual balance sheet and profit and loss account. Capital Issues (Continuance of Control) Act 1947 has been repealed but this does not affect consent given by Federal Government or licences issued under § 3 of Act. No shares or debentures in a company registered in Pakistan may be issued or transferred to a person who is not a resident of Pakistan (which expression is defined to include a foreign national who is for the time being resident in Pakistan and a company registered in Pakistan which is controlled directly or indirectly, by a person resident outside Pakistan) without permission of State Bank of Pakistan. However, State Bank has given general permission for certain categories of transactions for which no prior permission is required. Issues or transfer of shares of industrial companies (other than specified industries) quoted on Stock Exchange now allowed if price paid is not less than stock exchange price on date of sale. Disinvestment likewise permitted and disinvesting foreign investor permitted to repatriate proceeds provided not in excess of quoted price on date of transaction. Likewise issue or transfer of shares in private or public unquoted companies permitted if consideration paid is not less than “break-up” value as certified by chartered accountant. Likewise upon disinvestment in favour of resident repatriation of proceeds not exceeding break-up value certified by chartered accountant permitted. All issues required to be supported by evidence of remittance to issuing company in Pakistan. All transactions to be reported to State Bank and tax on capital gain, if any, required to be deducted. Frequently Asked Questions (FAQs) about Foreign Company Law/branch registration in Pakistan. What is meant by a foreign company? A foreign company is a company registered outside Pakistan, governed by a foreign law other than Pakistani law and establishes its place of business in Pakistan. Is registration of a foreign company mandatory with the Securities & Exchange Commission of Pakistan? Yes, registration of a foreign company with the Securities & Exchange Commission of Pakistan is mandatory. For how long does the Board of Investment grant permission to open a branch/liaison office of a foreign company in Islamic Republic of Pakistan? The permission for the opening of a branch/liaison office is granted by the Board of Investment for an initial period of three to five years. Copy of such a permission letter is required to be furnished with the documents needed for the registration of a foreign company. Following expiry does the branch/liaison need permission again from Board of Investment? Yes. After expiry the renewal/extension of the permission to open/maintain a branch/liaison office is also required to be obtained from the Board of Investment on the expiry of the validity period of the permission originally granted. Whenever such a renewal/extension is granted, a copy must be furnished to the Registrar SECP concerned. A further extension is granted after reviewing the performance of the entity during the initial period. Can a foreign company adopt any name it likes or are there are any restrictions? A foreign company can establish a principal place of business in Pakistan in the name of the company registered in the country of origin. The memorandum and articles of association of a foreign company is in language other than English, will the Securities & Exchange Commission of Pakistan accept them? According to Rule 23 of Companies (General Provisions and Forms) Rules, 1985, if the document constituting charter, statute or memorandum and articles of association are not in English or Urdu, duly certified translation into English or Urdu must be provided. Where any such translation is made outside Pakistan it shall be authenticated by the signature and seal of the public officer or public notary in the country where the company is incorporated, provided that the signature or seal of the person so certifying has been authenticated by a Pakistan diplomatic consular or consulate officer. Within how many days is a foreign company required to deliver requisite documents to the Registrar Securities & Exchange Commission of Pakistan? Every foreign company that establishes a place of business in Pakistan has to deliver the requisite documents to the registrar concerned within thirty days of establishment of a place of business in Pakistan. The signature and seal of the official referred to above, or the certificate of the public notary referred to above shall be authenticated by a Pakistani diplomatic consular or consulate officer. Is a foreign company required to file any document/s to the registrar concerned regarding change or alteration therein? Yes, foreign company is required to notify the registrar on any changes or alterations of the documents. What is meant by Global Accounts Filing in Pakistan? Global accounts are the accounts which a foreign company files with the authorities in its country of origin. If a foreign company is not required to file the Accounts in the country of origin, it will prepare global accounts and get them audited for the purpose of filing such accounts under the Companies Ordinance, 1984 in the same manner as a public company. Are there any statutory obligations for foreign companies? According to Companies Ordinance, 1984 a foreign company is required to comply with the statutory obligations i.e – to maintain at its principal place of business in Pakistan a register of Pakistani members and debenture holders, directors and officers, which shall be open to inspection. – In every prospectus inviting subscriptions for its shares or debentures in Pakistan, state the country in which the company is incorporated. – Conspicuously exhibit on the outside of every place where it carries out business in Pakistan the name of the company and the country in which the company is incorporated in letters easily legible in English or Urdu characters and also, if any place where it carries out business is beyond the local limits of the ordinary civil jurisdiction of a High Court, in the characters of one of the vernacular language used in that place. The name of the company and of the country in which the company is incorporated must be mentioned in all legible English or Urdu characters in all bill-heads and letter papers, and in all notices, advertisements, documents and other official publication of the company. If the liability of the members of the company is limited, notice of that fact must be stated in legible English or Urdu characters in every prospectus inviting subscriptions for its shares, all letters, bill headings, notices, advertisements, and other official publications of the company in Pakistan, and to be exhibited on the outside of every place where it carries out business in Pakistan. Is there any exclusion to foreign companies in terms of delivering accounts? No there is no exclusion. All foreign companies must deliver accounts in Pakistan, and accounts would be prepared and adjusted like any public company. Are provisions of Companies Ordinance 1984 for registration of mortgages and charges also applicable to foreign companies? Yes, all the provisions of Companies Ordinance, 1984 relating to the registration of mortgages and charges are also applicable to a foreign company. Do books of account need be kept by a foreign company? According to section 230 of the Companies Ordinance, 1984 every company shall keep at its registered office proper books of accounts, the provisions of the said section also apply to the foreign companies. Does a foreign company need to give notice to the registrar before closure of its business in Pakistan? Any foreign company, at least thirty days before it intends to cease to have any place of business in Pakistan, must give a notice of intention to the concerned registrar and publish a notice of such intention at least in two daily newspapers circulating in the Province or Provinces in which such place or places of business are situated. 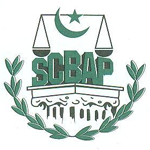 As from the date of intention to cease to have any place of business in Pakistan stated in the notice, unless the said date is by a similar notice altered, the obligation of the company to deliver any document to the registrar shall cease, provided it has no other place of business in Pakistan. If a foreign company having an established place of business in Pakistan goes into liquidation in the country of origin what procedure is to be adopted in Pakistan? If a foreign company that has an established place of business in Pakistan goes into liquidation in the country of its incorporation then it shall within thirty days give notice thereof to the registrar, and simultaneously publish a notice at least in two daily newspapers circulating in the Province or Provinces in which its place or places of business are situated and furnish to the registrar within thirty days of the conclusion of the liquidation proceedings all returns relating to the liquidation and the liquidation account in respect of such portion of the company’s affairs as relates to its business in Pakistan. Publish a statement on every invoice, order, bill-head, letter or notice of other publication in Pakistan that the company is being wound up in the country of its incorporation. Where a company has been dissolved no person shall, after the date of such dissolution or cessation, carry on or purport to carry on any business in Pakistan in the name or on behalf of such a company. If a foreign company in Pakistan fails to comply with the provisions of Companies Ordinance, 1984 is there any penalty? If any foreign company fails to comply with any of the provisions of the Companies Ordinance, 1984 then the company and every officer or agent of the company who knowingly or wilfully authorizes or permits the default shall be liable to fine. Are foreign companies required to be registered with tax authorities in Pakistan? Yes, Liaison/Branch office are required to be registered with the tax authorities in Pakistan. 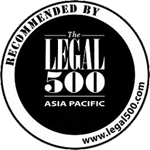 Please contact Josh and Mak International law firm for further details and professional business and legal consultation. Josh and Mak International provides services in Company Incorporation in Pakistan, Establishment of Branch/Liaison office in Pakistan, the Drafting of Contracts in Pakistan, Buy-Sell Agreements in Pakistan, Shareholder Agreements in Pakistan, Corporate and Shareholders Disputes in Pakistan, Corporate Restructuring and Reconstruction in Pakistan, Company Negligence in Pakistan, Company Dissolution or Liquidation in Pakistan, Purchase of Commercial Real Estate in Pakistan, Contract Disputes in Pakistan, Employment Contracts in Pakistan, Foreign Collaboration and Joint Ventures in Pakistan and Mergers and Acquisitions. Disclaimer: The information available above and below is not intended to be comprehensive, and many details which may be relevant to particular circumstances have been omitted. 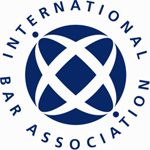 Accordingly, it should not be regarded as being complete source of foreign company law information. Web users are advised to seek independent professional advice before acting on anything contained herein. Josh and Mak International will not take any kind of responsibility for the consequences along with errors or omissions. Owned or Controlled by Aliens. A company in which 50% or more of the shares are subscribed by a foreign national would be regarded as a company controlled by a person resident outside Pakistan. Foreign-controlled companies engaged in manufacturing are entitled to borrow working capital without limit; semi-manufacturing and non-manufacturing concerns are allowed to borrow 75% and 50% respectively of their paid up capital including reserves. Such companies engaged in manufacturing also permitted to raise rupee capital requirements from local banks or financial institutions. Except for restriction above, corporations controlled by aliens are treated on same basis as Pakistani controlled companies. Companies (Appointment of Legal Advisers) Act 1974. Under § 3 every company with paid up capital of more than Rs. 500,000 shall appoint at least one legal adviser on retainership to advise such company in performance of its functions and discharge of its duties in accordance with law. Retainer in respect of a legal adviser appointed by a company shall not be less than Rs.1,200 per mensem. An advocate may represent three companies as legal adviser and a registered firm may represent product of three and total number of partners of firm. An advocate means an advocate entered in any roll under provisions of Legal Practitioners and Bar Councils Act 1973. Listed Companies (Substantial Acquisition of Voting Shares and Takeovers) Ordinance 2002 prohibits any person from directly or indirectly acquiring voting shares, which (taken together with voting shares, if any, held by such person) would entitle such person to more than 25% voting shares in listed company or control of listed company unless such person makes public announcement of offer to acquire voting shares or control of such company. Acquisition of shares must be preceded by public announcement required to be published in one Urdu and one English daily newspaper having circulation in province in which concerned stock exchange is situated. Copy of announcement also needs to be submitted to SECP, concerned stock exchange and target company at least two working days prior to publication. In addition, acquirer is required to make disclosure of aggregate of his shareholding in target company to company itself as well as to concerned stock exchange. Acquirer is also required to send letter containing formal offer to target company, all shareholders (including convertible security holders, if any) of target company and concerned stock exchange within two working days of publication. List of relevant shareholders is required to be supplied to acquirer by board of directors of target company. Prior to making public announcement, acquirer must appoint bank, or financial institution or member of stock exchange as manager to offer. Manager shall ensure that acquirer is able to implement public offer and, generally, that provisions of Ordinance have been duly complied with. Where shares offered for sale in pursuance to public announcement are more than voting shares offered to be acquired by acquirer, acquirer will be required to accept shares actually offered on proportional basis. Upon transfer of securities, acquirer shall be entitled to proportionate representation on board of directors of target company. As mentioned liberally above, under the law, every foreign company operating in Pakistan is required to obtain a permission from the State authorities to establish a liaison office or branch office.Foreign Companies that are issued permission to establish an office registered with the Board of Investment are regulated by the Companies Ordinance, 1984 and ss451 & 452 of the said Ordinance, lays down requirements for documents to be delivered to the Registrar of Companies by foreign companies and returns to be delivered where alterations were made in document. So even while the financing companies abroad may prefer a company’s provision of services in the form of a foreign company it can jeopardize the legality of its operations in Pakistan. The rule has been confirmed in the most recent case of Maulana Abdul Haque Baloch Vs Government Of Balochistan Through Secretary Industries And Mineral Development 2013 PLD 641 (decided by the Supreme-Court) .The case states that if a foreign company does not have certificates of registration from the Board of Investment or the Registrar of Companies issued in its favour the section 456 of the Companies Ordinance, 1984, will apply in the absence of such registration, and its legal status will not be recognized neither will have a legal standing to sue any other entity having failed to fulfill the requirements of Ss.451 & 452 of the said Ordinance. All agreements between such a company and any other Pakistani public or private company or entity will also become void and unenforceable. Bearing this is in mind we have mentioned in detailed this procedure of opening a branch office /liaison office in Pakistan for you down below. In essence the foreign company would require the following step-by-step licenses/permits/Approvals in order to operate in Pakistan. Step 1: Opening a Pakistani Branch office/liaison office. Designated person authorized to act on behalf of the company. On receipt of complete documents, BOI (Board of Investment) examines the documents and circulates the request to all concerned quarters for their views/comments. Having received the necessary clearance from all concerned quarters/agencies, BOI grants permission to foreign company to open their Branch/Liaison office in Pakistan. The amount is also acceptable equal in Pakistani rupees and can be deposited in the Board of Investment’s direct bank account. A Pakistani diplomatic consular or consulate officer shall authenticate the signature or seal of the person so certifying. If the document is not in English, duly certified translation in English or Urdu language is provided (Rule 23 of Companies (General Provisions and Forms) Rules, 1985. Address of principal place of business in Pakistan of the foreign company, on Form 43 (Section 451). Permission letter from the Board of Investment with a specific validity period for opening and maintaining of a branch/liaison office by a foreign company. Please be advised that when permits from authorities are required in case of a foreign company it usually takes 2 to 3 months it may be less to get all the permits. And then the Company registration process starts at Securities and Exchange Commission of Pakistan “ SECP” which takes another 7 to 10 days. The above-mentioned time frames are based on the average time taken during our previous handling of similar cases. The delays can be less or more depending on provision of all relevant documentation on time). Which provisions of the Ordinance are applicable regarding the change of name of the foreign company? The provisions of Section 37 to 41 of the Ordinance relating to the name and any change in such name are also applicable to a foreign company. A foreign company becomes subject to the same restrictions on its name as applicable to other companies which are incorporated in Pakistan. Whether a foreign company is required to file any statutory return or deliver any document to the registrar concerned on change or alteration therein? Form 44: Any change or alteration in the Memorandum of Association, Charter and Statute etc., previously filed on Form 38, is required to be filed on Form 44 within 30 days of such change or alteration. Forms 39, 40, 41, 42 and 43: Any alteration in the information filed on any of these Forms, is required to file on the same Form. Are there any statutory obligations for the foreign companies under the Companies Ordinance, 1984? To maintain registers of Pakistani members and debenture-holders, directors and officers at its principal place of business and keeping it open to inspection. To state the country of origin in every prospectus inviting subscriptions for its shares or debentures in Pakistan. To exhibit the name of the company and the country of its incorporation on the outside of every place of business in Pakistan, in letters easily legible in English or Urdu characters and also if the place of business is beyond the local limits of the ordinary original civil jurisdiction of a High Court, in the characters of one of the vernacular language used in that place. To mention the company’s name and country of incorporation in English or Urdu characters on all letter paper, bill heads, notices, advertisements, documents and other official publications of the company. To state the fact that the liability of the members of the company is limited in legible English or Urdu characters in every prospectus inviting subscription for its shares, all letter papers, bill heads, notices, advertisements, and other official publications of the company. Is a foreign company obliged to register a mortgage/ charge under the Companies Ordinance, 1984? Under the Section 463 of the Ordinance, the provisions of Section 121 to 136 as applicable to other companies, relating to the registration of mortgage and charges are also applicable to a foreign company. A foreign company at the time of creation of a mortgage or charge on their property in Pakistan, is required to file particulars of the mortgage or charge, together with a copy of the instrument creating or evidencing thereof, with the concerned registrar. The documents must be filed within 21 days after the creation of the mortgage/charge, as required under Section 121 of the Ordinance. Section 121 of the Ordinance enlists the mortgages and charges to be registered. If a foreign company has already created a charge on a property in Pakistan, otherwise registerable under the Ordinance, it is required to file the documents within thirty days of the establishment of a place of business in Pakistan. All details about registration of mortgage and charge are available in the SECP’s Guide of “Company Mortgages and Charges”. Does a foreign company maintain books of accounts? The provisions of Section 230 of the Ordinance, relating to the maintenance of books of account by companies, apply to the foreign companies to the extent of requiring them to keep at their principal place of business in Pakistan the books of account with respect to money received and expended, sales and purchases made, and assets and liabilities of its business in Pakistan. Which financial statements are required to be filed with the Registrar by a foreign company registered in Pakistan? (a) Form 45 – containing places of business of the company in Pakistan, along- with Annual audited accounts in respect of its operations within Pakistan. (c) List of Pakistani members and debenture holders. Global accounts are the accounts which a foreign company files with the authorities in country of origin. If a foreign company is not required to file the Accounts in country of origin, it shall prepare Global Accounts and get the same audited for purpose of filing of such accounts under the Ordinance like a public company. What are the consequences of failure to comply with the requirements of registration or reporting any change/ alteration in any return/ document? According to Section 456 of the Ordinance, failure by a foreign company to comply with any of the requirements of registration or reporting any change/ alteration in returns/ documents shall not affect the validity of any contract, dealing or transaction entered into by the company or the company’s liability to be sued in respect thereof; but the company shall not be entitled to bring any suit, claim any set off, make any counter claim or institute any legal proceedings in respect of any such contract, dealing or transaction. How does a foreign company cease its activities in Pakistan? 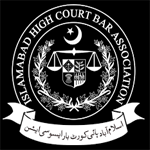 Under the Section 458 of the Ordinance, if a foreign company ceases to have place of business in Pakistan, it is required to give notice to the registrar concerned at least 30 days before it intends to cease to have any place of business in Pakistan on prescribed Form 46 and to publish a notice of such intention at least in two daily newspapers circulating in the Province(s) in which such place(s) of business is situated. All obligations of the company to deliver documents to the registrar concerned ceases from the date of such intention to cease to have any place of business in Pakistan, except that such foreign company does not have any other place of business in Pakistan. What are the requirements if a foreign company goes into liquidation in the country of its incorporation? d) Publish a statement on every invoice, order, letter paper, and billhead, notice of other publications in Pakistan that the company is being wound up in the country of its incorporation.